Invisible people are all around us at church and in our community. Invisible people are those who are absent, ignored, or avoided. Several weeks ago, I started putting together a list of groups of people who I believe can be invisible where church and small groups are concerned. Be aware of the people at your church and in your community. Who do you notice being avoided or ignored? Get out of your comfort zone and talk with them. Learn as much about them as they are comfortable letting you into their story. Discover a tangible way to share God’s love with them. Invite them to visit your small group gathering, if appropriate. Now share your experience with your group members and encourage them to do the same. Many of the groups of invisible people have special challenges. 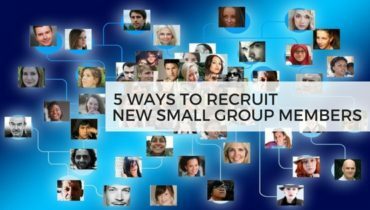 These challenges may make it difficult to attend a small group meeting. These challenges may make it difficult for them to participate. Some of these challenges may make it difficult for them to be readily accepted by small group members. Look at any challenge that exists for invisible people as a potential opportunity where your small group can help. 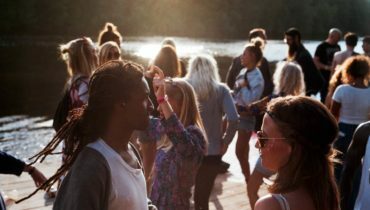 In his article Reach People On the Fringe, Will Johnston writes about what National Community Church (NCC) is doing to reach some of these groups of people in their community. They have found ways for small groups to reach out to groups including youth in trouble, people struggling with substance abuse, and the homeless and jobless. Andrew Mason recently announced his top 7 blogs from 2015. Two of the seven blogs were great descriptions of how small groups in a couple of churches are connecting with the homeless. I was excited to learn that Chris Surratt wrote a book called Small Groups for the Rest of Us: How to Design Your Small Groups System to Reach the Fringes on how small groups can be more inclusive and influential with people on the fringe. 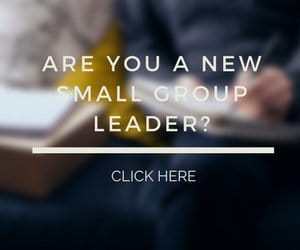 Use these resources to start thinking about how your small group can connect with the people at your church and in your community who are invisible. Question: What are some ways small groups can reach out to invisible people? You can leave a comment by clicking here.